Coming of age doesn't always happen in your teens. For Addie, Kate, Sam, Jessica, and Danny, college has ended and the future is coming whether they're ready or not. While Addie stands still watching all those around surge blindly toward what they believe to be the right path, thoughts from her four friends creep into her mind and replace her feelings of complacence with doubt. 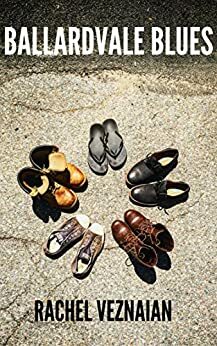 Friendships intertwined in a messy web splinter and slowly break as the warring belief systems of those in their early twenties come to lure the five friends into separate offshoots, forcing Addie to choose a life plan as clear as those who surround her.